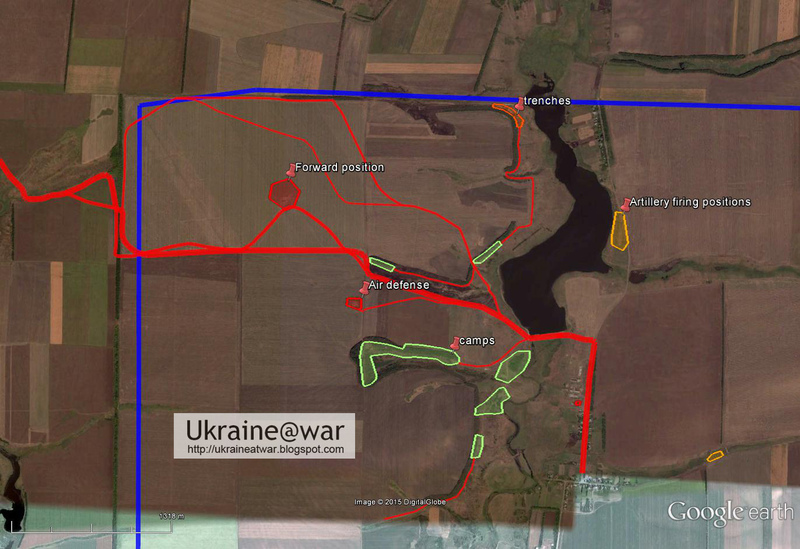 In August Ukrainian volunteer battalions were ordered to encircle Donetsk from the South. 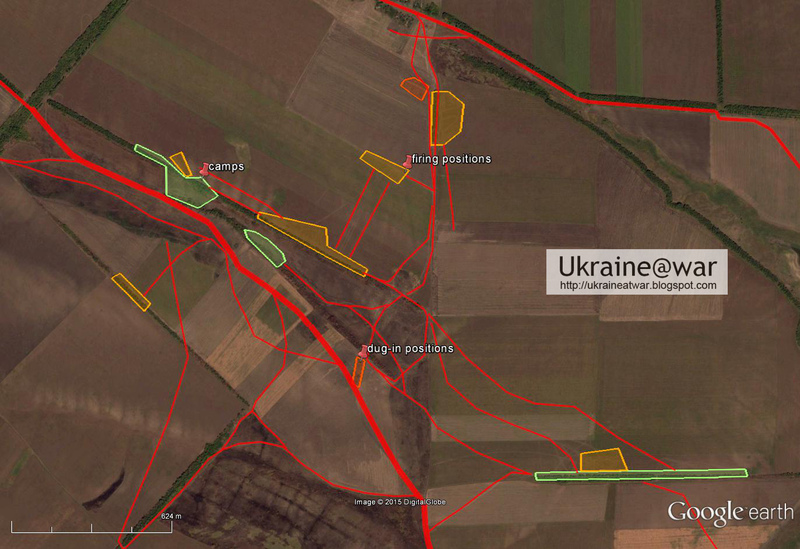 At Ilovaisk they met fierce resistance and they were never able to really take it. As can be seen there is a natural barrier near Novyi Svit in the form of an artificial lake. After weeks of uncertainty they were offered a 'safe corridor' back so they could retreat. 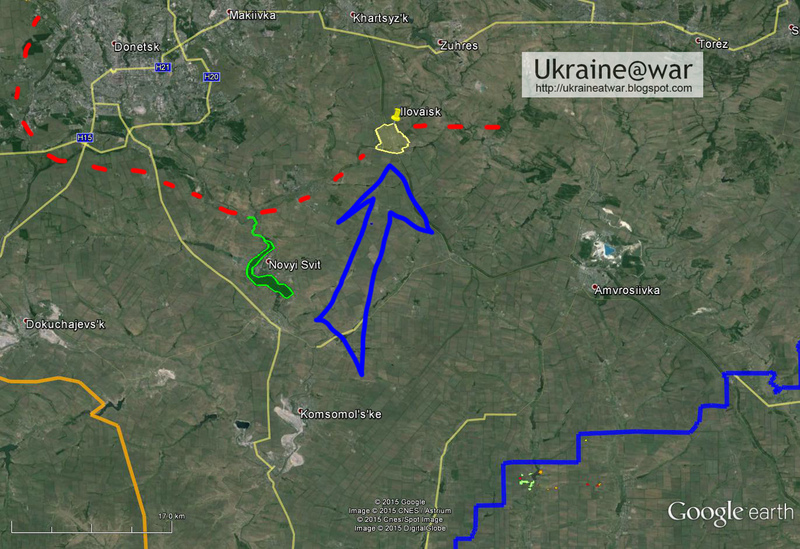 They had to take the route south of Novyi Svit again. But there they were slaughtered. 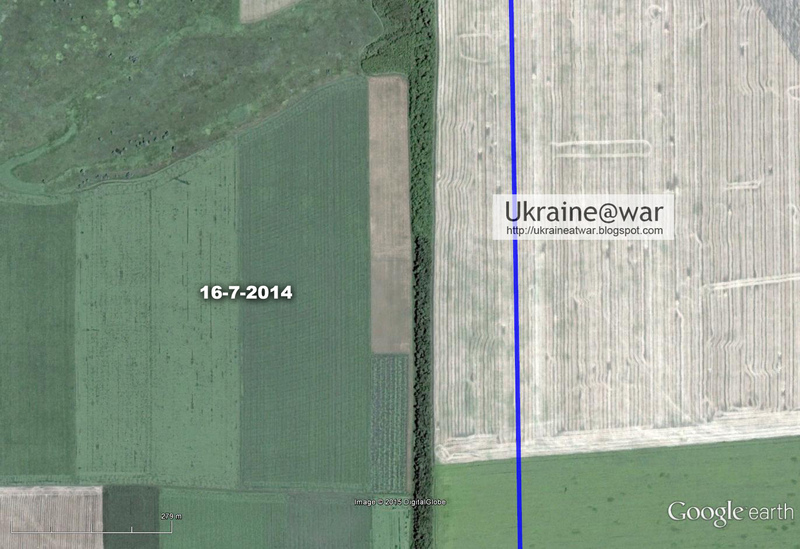 Now with updated satellite images on Google Earth we can reconstruct how. It was done by a Russian invasion army that crossed the border near Berestove. 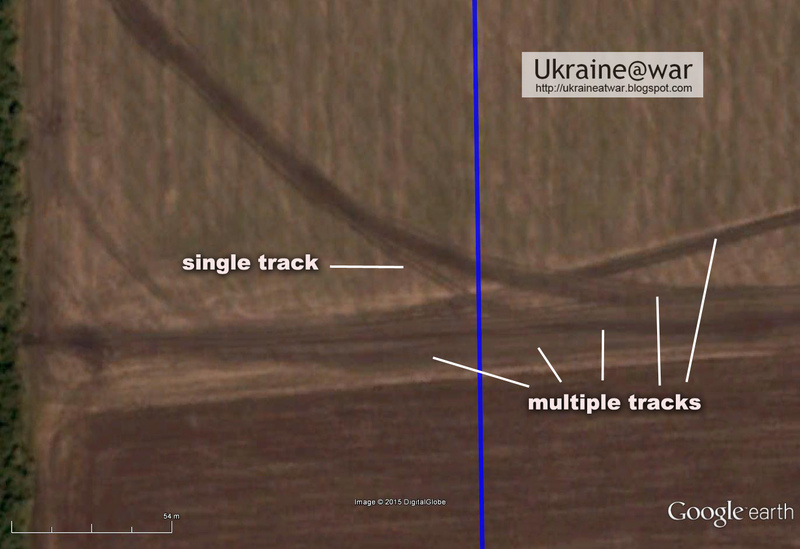 We can see a 'single track' (which might even have been used by several vehicles) and very broad 'multiple tracks'. My rough estimate would be that these tracks have been used by 50 to 100 vehicles if not more. 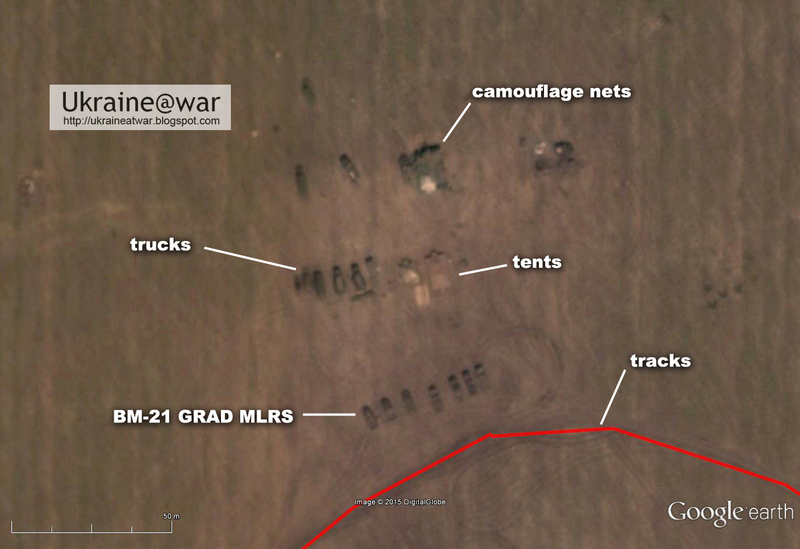 There are trucks and likely GRAD launchers parked there. But also camouflaged positions and tents. A little bit south of this two large vehicles can be seen. 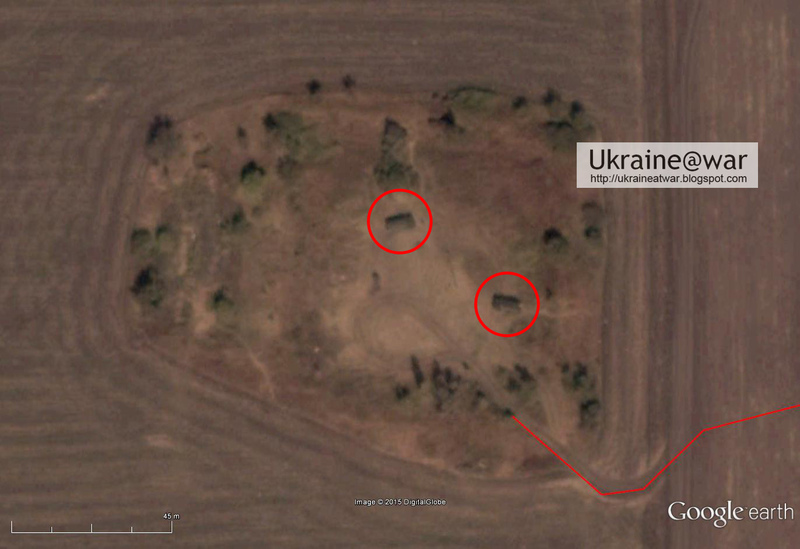 Although it can not be determined what it exactly is, I suspect these to be BUK air defense systems. Or else some other type of air defense. Now there are a lot of tracks that lead into the trees. That indicates this has been a camping site. 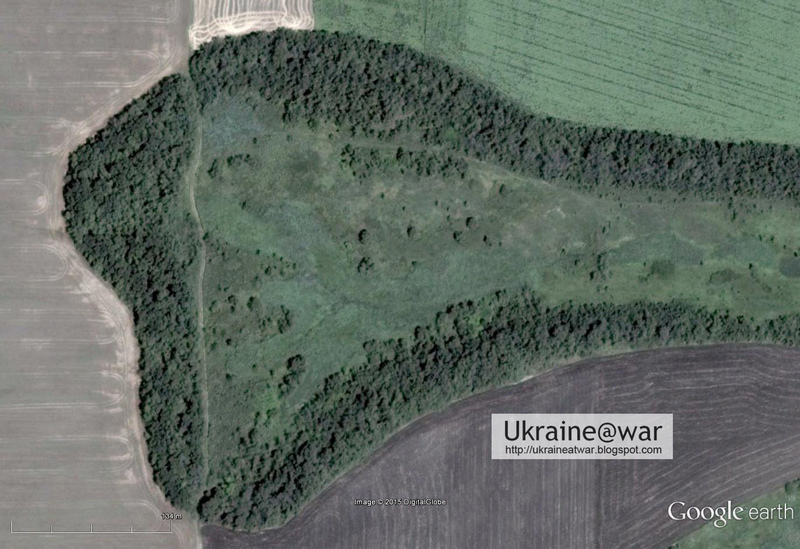 There are more such camping areas, as well as used firing positions for artillery and trenches. This whole area is a forward position of the army with a HUGE temporary campsite. No vehicles can be seen anymore in this camp. There is ONE BIG trail crossing the border and then it splits into several smaller ones, leading to an area where also many firing positions can be seen as well as camp sites. 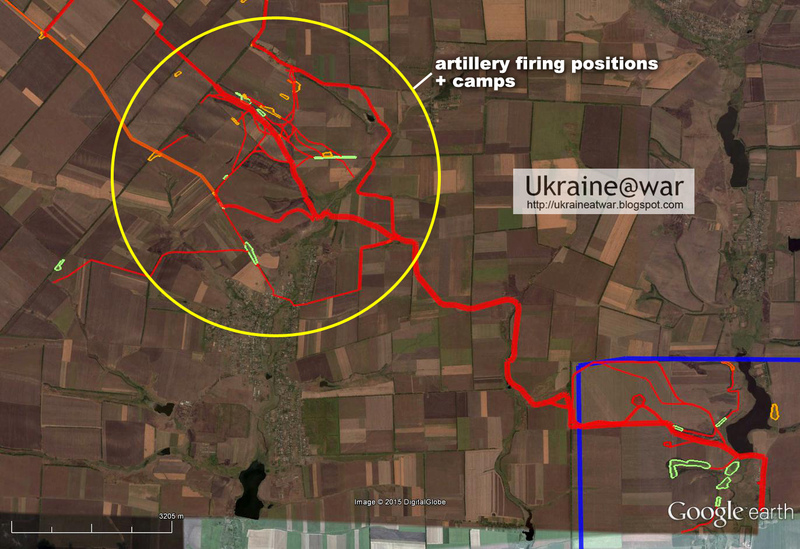 The light blue area shows mortar impacts. 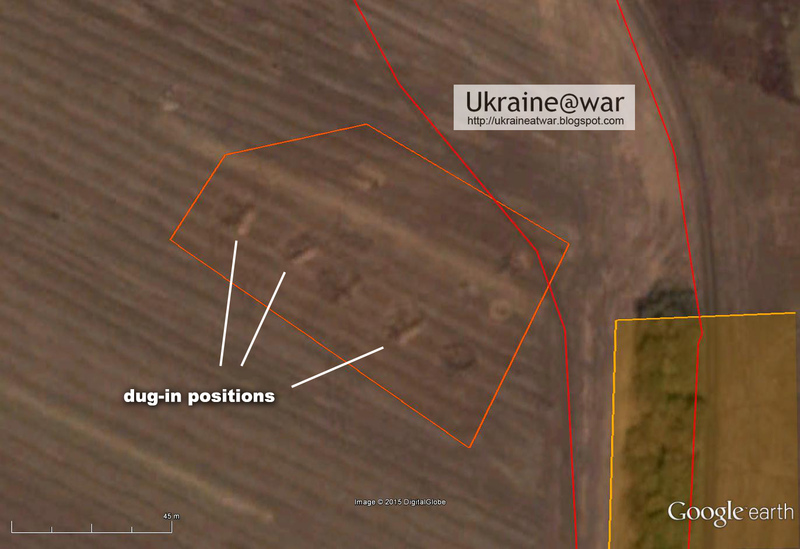 It looks like some Russian units have tried to advance there and received some counter fire. 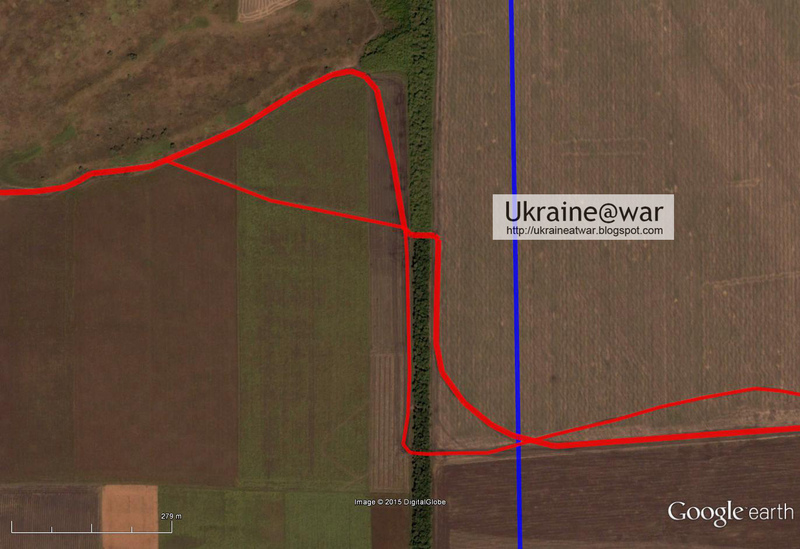 The blue line shows how the Ukrainian units were retreating. To get there they had already been fired on with artillery many times. 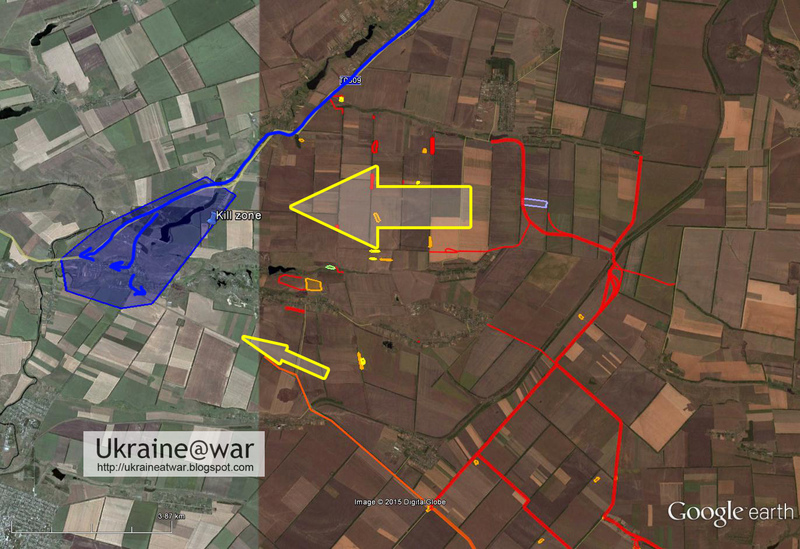 When they arrived at this position, they were attacked from the side and from behind by an overwhelming Russian force (Yellow arrow). 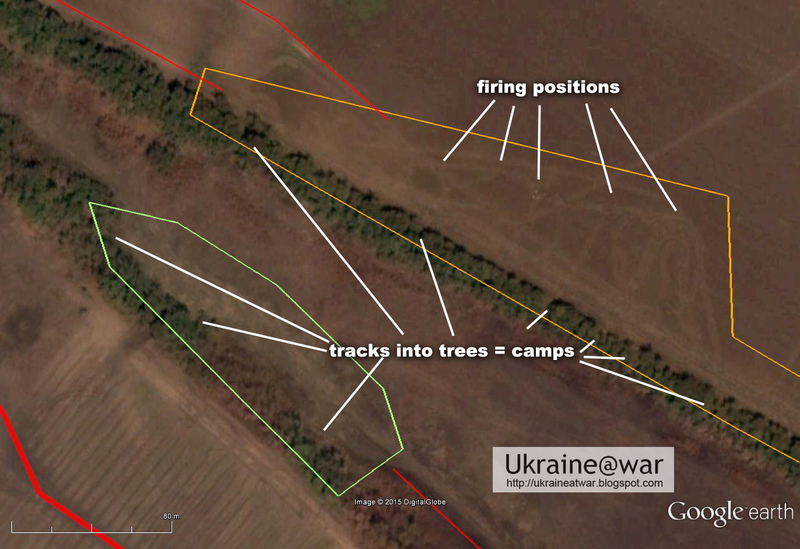 The small yellow arrow indicates that attacks via that side must also have been taken place, but it can not be seen, because that road is a hard road and the September satellite image ends there. 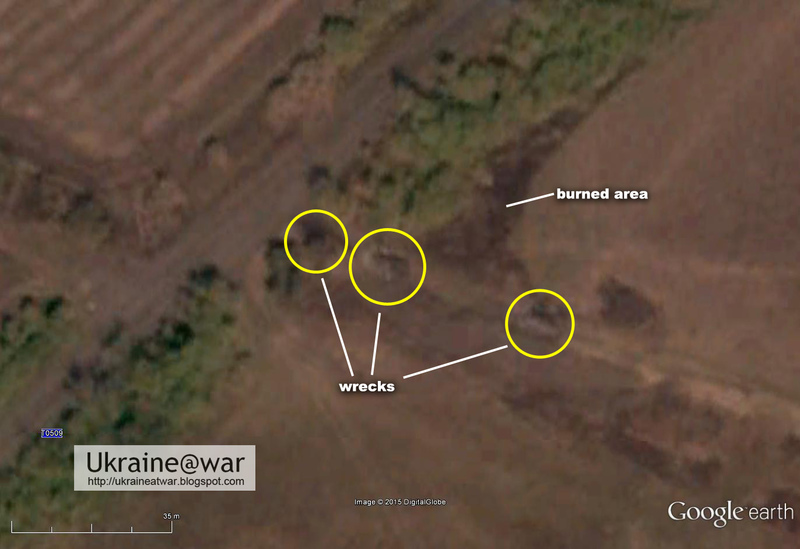 These are the first visible victims on the satellite image. Here is a video showing quite some more. 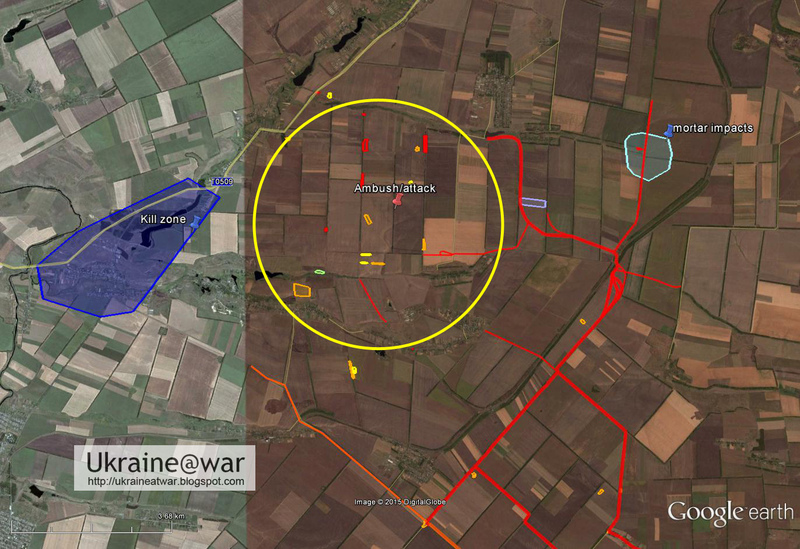 More to the south also units had been destroyed, since there is a video showing these (small blue area) . But that's also the end of the satellite image, so we can not see exactly how and where yet. 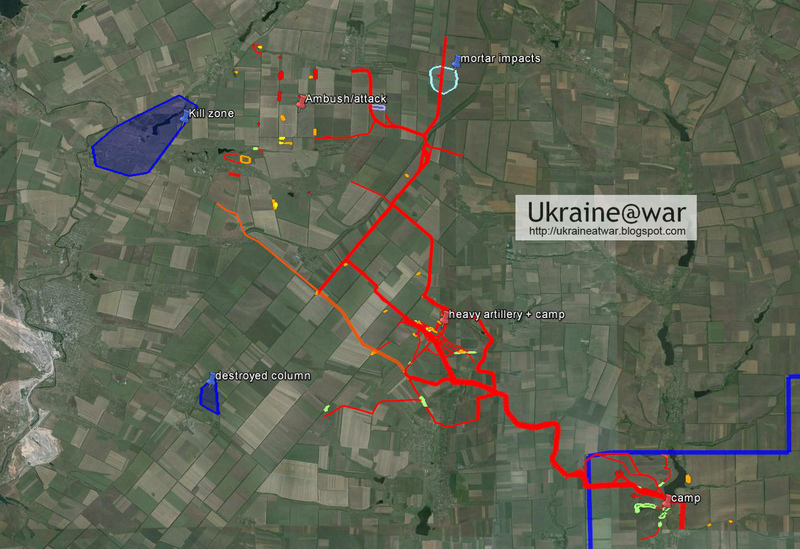 Also see: the disaster of Ilovaisk. 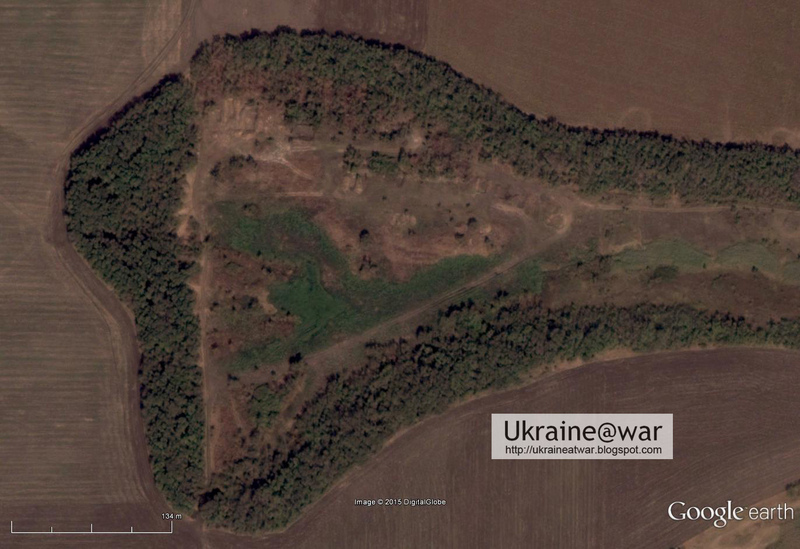 Also see: Ilovaisk 2.0 in the making at Debaltseve.